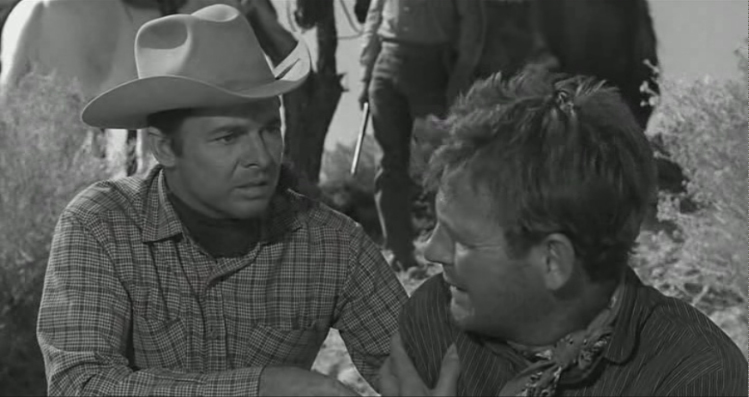 Chris Foster (Audie Murphy) and Bert Pickett (Charles Drake) are two drifters who are passing through the border town of Adonde. There, a drunken Bert gets into a brawl at a card game and punches the town sheriff. Chris tries to help Bert but both are arrested. 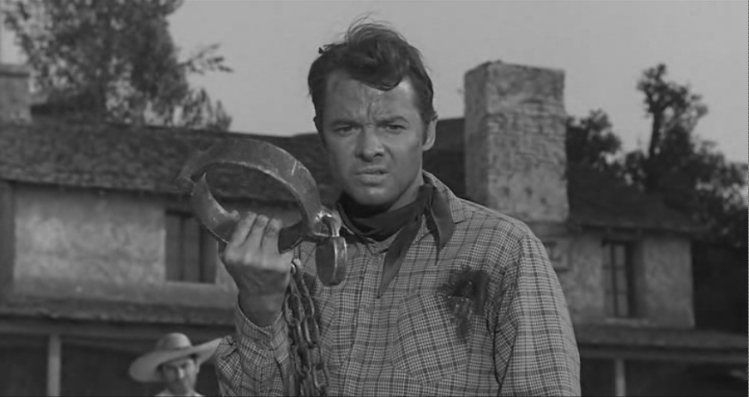 The town doesn't have a jail and the sheriff chains prisoners by the neck to a wooden post in the town square. Also chained to the same post are the town drunk (Strother Martin) and the violent gang of famous wanted outlaw Lavalle (Harold Stone). The outlaws are bent on escape and unfortunately Bert and Chris have no choice but to participate. During the escape and consequential shoot-out, sticky-fingered Bert steals some bank notes as he and Chris split from the gang and flee. They are quickly apprehended by the gang, however, and get pressed into criminal service. 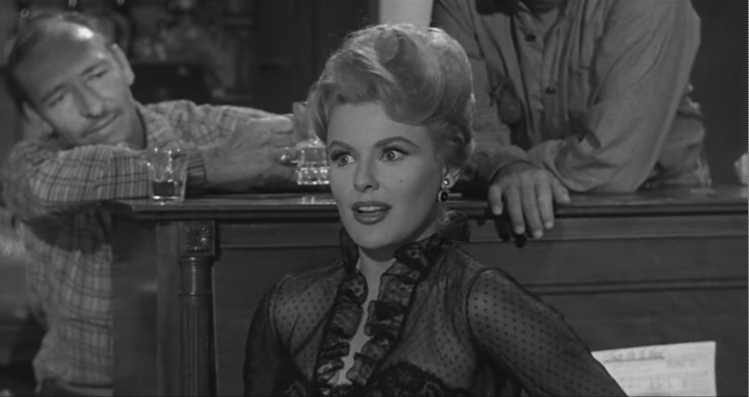 Things get more complicated when Bert's purported girl, a saloon singer named Estelle (Kathleen Crowely), enters the picture. Finally it is Chris, who simply just wants to get on with his life, who is left to stand alone against the whole gang. 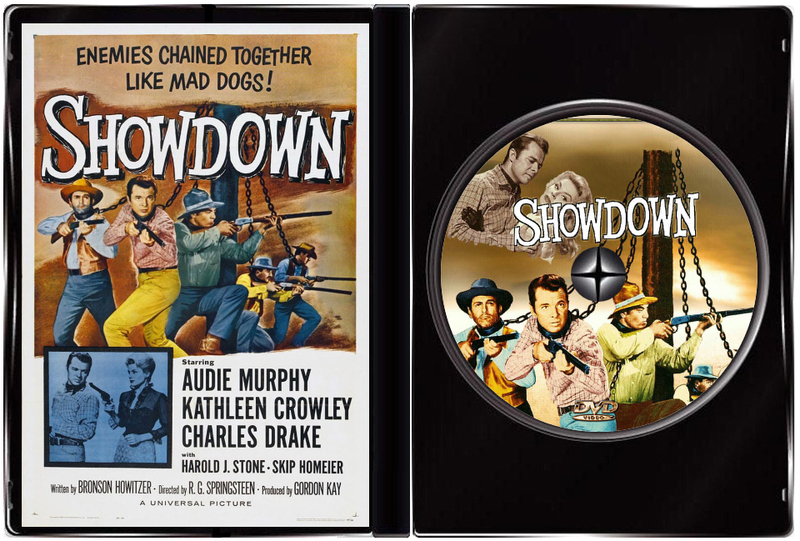 According to "No Name on the Bullet: A Biography of Audie Murphy," by Don Graham, Murphy was quite upset when he learned that SHOWDOWN was being filmed in black-and-white and almost stopped working. "I'm not gonna act," is how he put it. The producer eventually talked him into finishing the movie, but Murphy vowed, "This is the last picture I'm gonna do in black and white." It was. 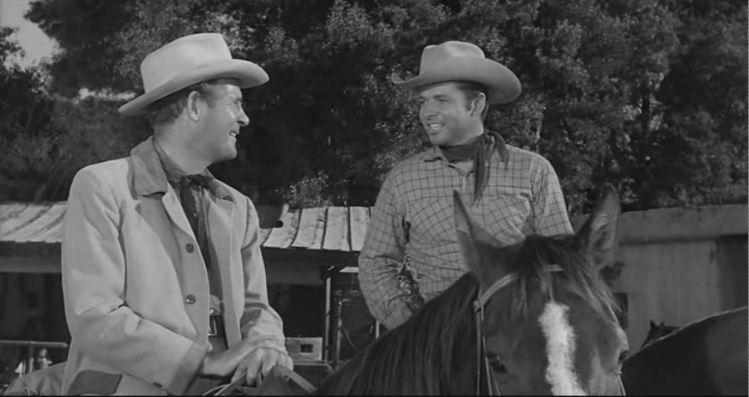 There's a great cast of old character actors who never fail to please in old westerns, Harold J. Stone, Skip Homier, L. Q. Jones, Strother Martin and Charles Drake. 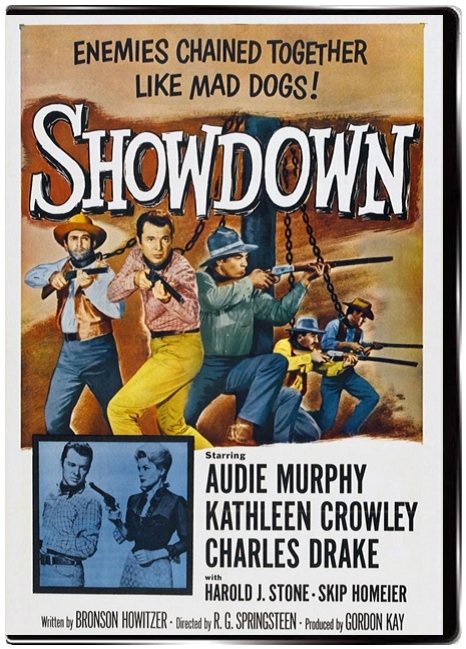 In fact this could have been a classic had Universal invested a little more money in script and direction - but at this time Audie Murphy's films were normally at the bottom of double bills as he was just running out his contract. Still the film has some grit to it with Murphy up to the task as usual.